Enchanting sprays of Phalaenopsis in a chic vase. 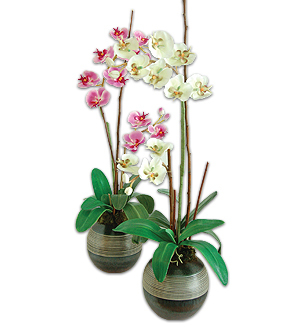 Choice of Phalaenopsis in Fuschia red and White with purple, red or yellow throat. Measures 80cm. Price is for one unit only.